Home English Gopichand as Goodachari! 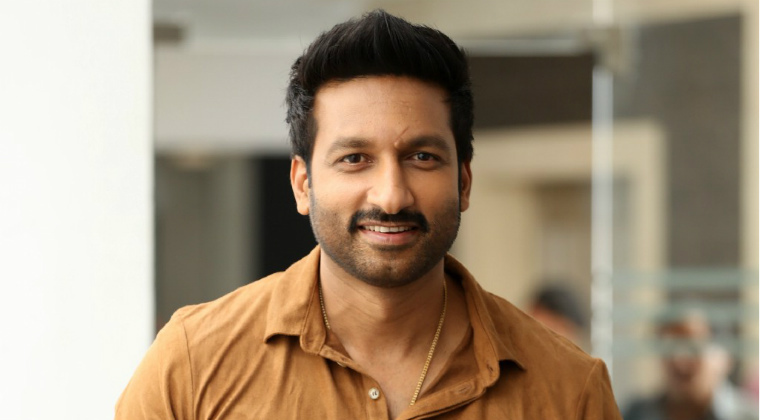 Gopichand has been struggling to score a hit with his mass action entertainers like Oxygen and Pantham. He seems to have decided to try different to achieve success. As was reported, Dil Raju is planning to remake of Tamil cult romantic hit 96 with Gopichand. Meanwhile, Gopichand’s new movie has been launched yesterday. The mass hero will be seen as Spy in this film to be directed by Thiru and produced by Rambrahmam Sunkara on AK Entertainments banner. Recently, Adivi Sesh struck gold with his spy thriller Goodachari. Hope, Gopichand too will hit the bull’s eye and bounce back with this new film. Regular shooting will commence from Jan 18th and the film is planned for release in May 2019. Abburi Ravi has written the script and music is by Vishal Chandrashekar. Vetri Palanisami is the DOP of this film co-produced by Abhishek Agarwal.